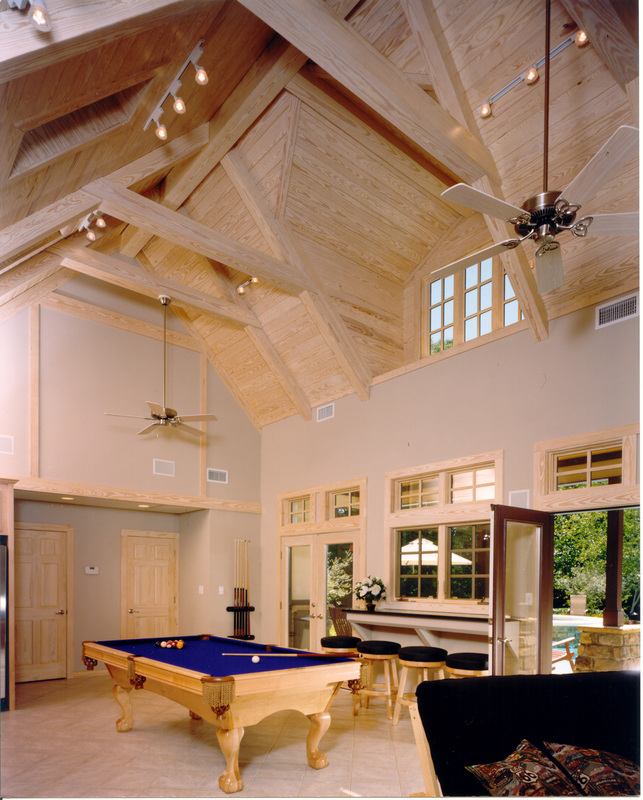 This pool house takes on a complimentary role as it draws stylistically from the clients existing home. 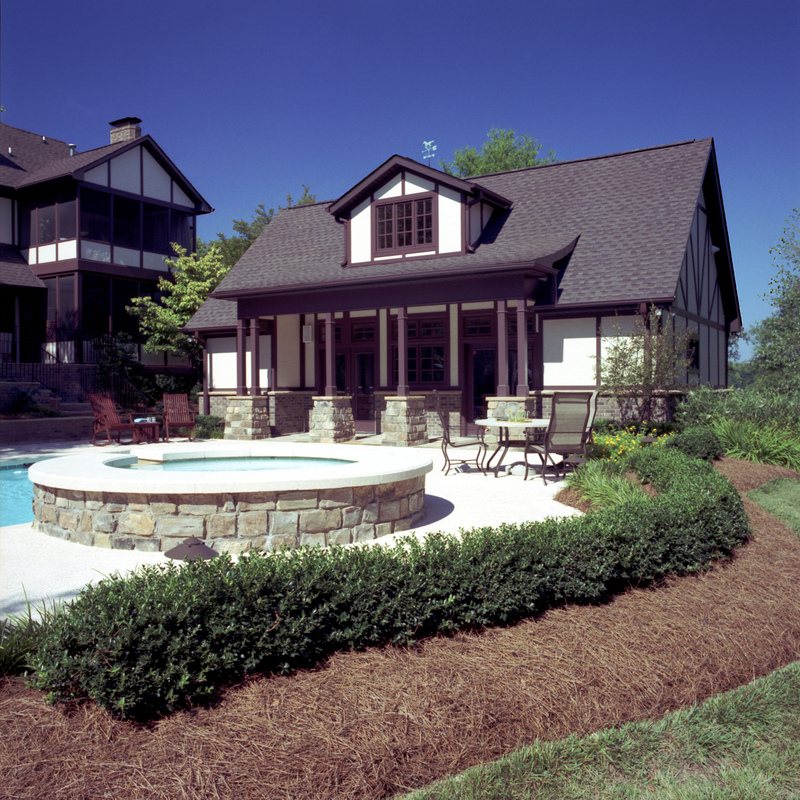 From the exterior, the pool house is a humble gesture serving the pool deck, garden, and back patio. 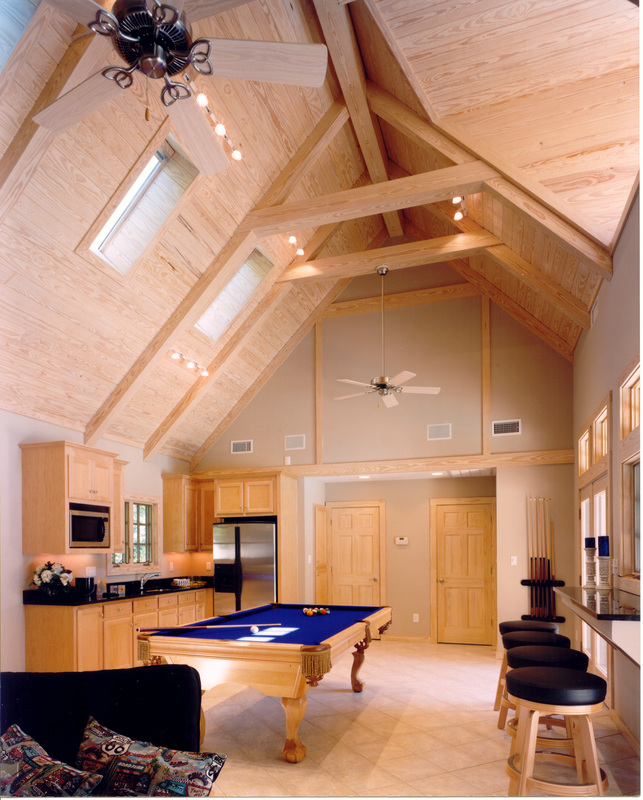 Upon entry, light exposes an expansive double height interior furnished appropriately with open kitchen space, restrooms, a bar overlooking the pool area, and a living area readily accommodating all the needs of guests and family.